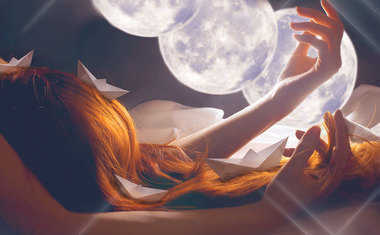 As a symbol, the Moon has always been representative of femininity, cycles, emotions, and the world of the unconscious. On the flip side, it also represents the negative associations we have with the night -- illusion, confusion, and deception. 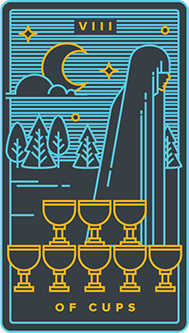 Within a Tarot card deck, we can see the Moon as a symbol represented amongst a whole host of cards that have either of these associations. Here, we're using the Golden Thread Tarot deck to show you some of these representations. 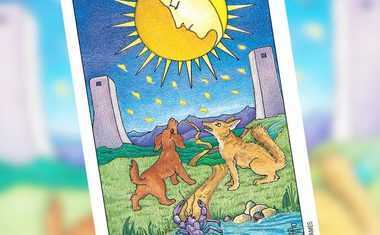 Keep reading to find out which cards are most closely connected to the Moon! The most obvious association is with the Major Arcana card that bears its name. On The Moon Tarot card, one encounters the powerful yet unnerving presence of the Moon, who at night weaves mysteries and illusions. Everything here is a reflection of the other -- the towers, the water and the earth, and even the twin fishes that play in the water. At this point of The Fool's journey, the unconscious reigns and dreams can give way to fantasy. 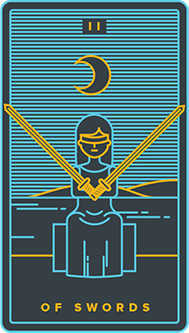 Being the ruler and the guardian of the unconscious, the High Priestess is the Moon personified. Her many eyes penetrate the primordial abyss. She awakens in The Fool the powers of intuition, and invites him into a further exploration of the inner world. The Hermit is a lone figure that walks along his path in solitude. Under the cover of night and the rays of the Moon, the only thing he has to guide him is the light of his lantern. He undertakes this journey in the hopes of finding the truth that lies within. Under the cover of night and the rays of the Moon, a lone figure steals away from the scene, leaving behind the Cups. 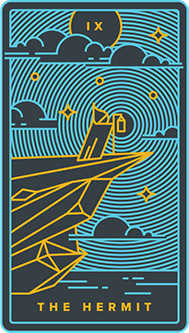 Because the Moon signals the world of cycles and transitions, as well as the unconscious, this card seems to indicate that an intuitive drive pressures one to walk away from something, and into something new. 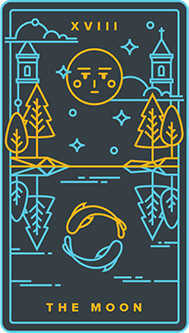 The double symbolism of the Moon and the blindfold sharply indicate the confusion that is associated with this card, where the options that are given to you hang in a motionless balance. 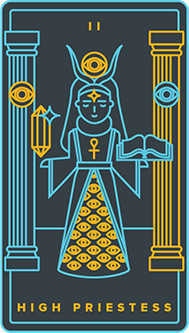 Tarot pulls from a vast library of symbols that humanity has created throughout its existence. They are all connected to one another, and we can draw bridges from one set of symbols to the next. If you look closely, you can start to find other planets and their associated meanings throughout all the cards of a Tarot deck. 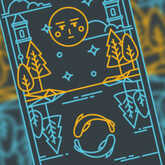 Where else can you find the Moon within your own deck? What other cards do you associate with the Moon? Get closer to the messages of the Moon with a Celtic Cross Tarot Reading!